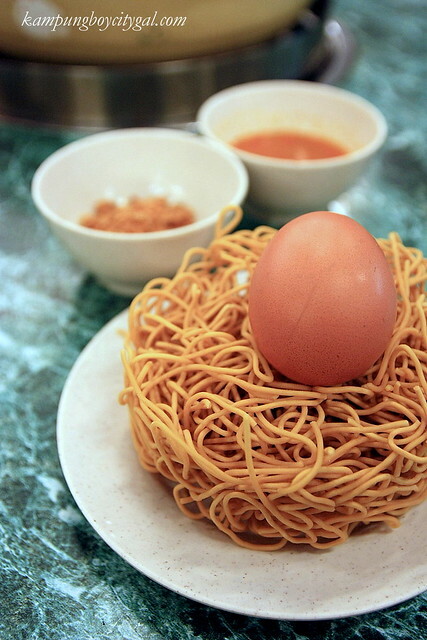 Recently a reader emailed and asked us to write more about non fancy restaurants/cheap eats around KL. 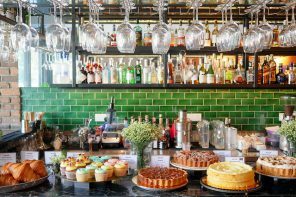 Well, it is a misconception that we only go for tai-tai-ish high teas, cafes and fine dining though I must admit that we tend to post more about these places as the pictures always turned out better. 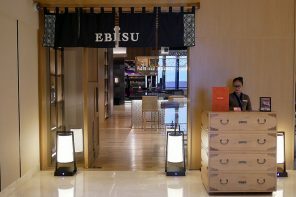 We also go back to our favourite cheap eats again and again and again, sometimes 2-3 times over a span of one week that we took them for granted. 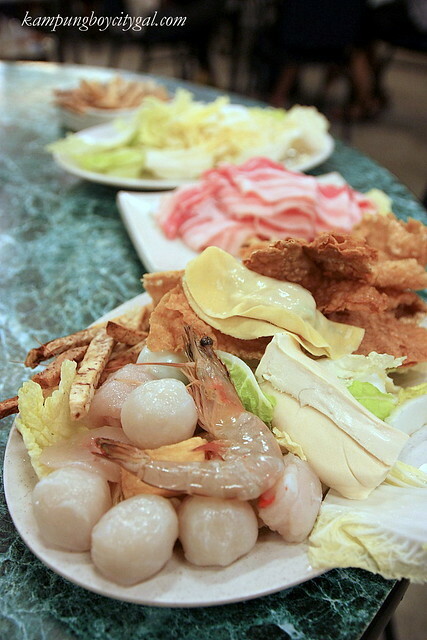 Please allow us to introduce Coco Steamboat – our latest steamboat addiction. We have been going back for 3-4 times since March this year. Coco Steamboat is originated from its main HQ in Cheras (I believe) and their branch in Old Klang Road. 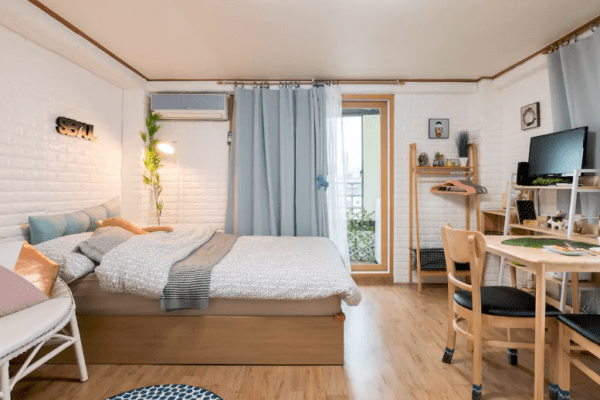 It is a spacious open air area with covered zinc roof top. Reservation is not allowed for slots after 630 pm and table securing is by first come first serve basis. Just pass your name to the main counter and patiently wait for your turn. Usually it takes about 10-20 minutes. 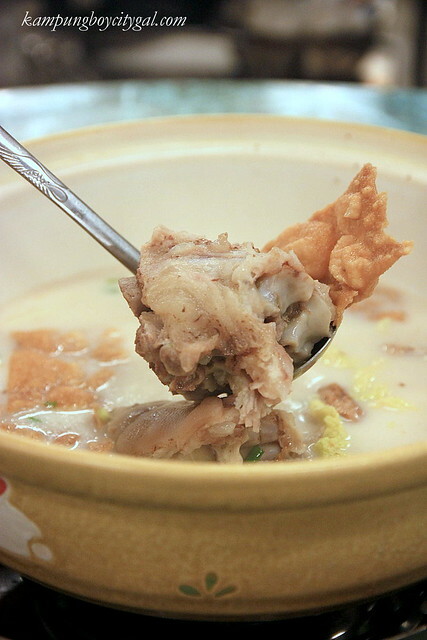 This pot of milky pork bone soup (RM17.50) with giant pork knuckles is the piece de resistance here. There are also white cabbages, sliced turnips, deep fried shredded yam, deep fried bean curd and plenty of black pepper inside the soup base. It has a slightly complex flavour – porky (pork bone ma), sweet (white cabbages and turnips) with a nice little punch of heat (black peppers). So delicious! We spotted these chicken wings in almost every tables. 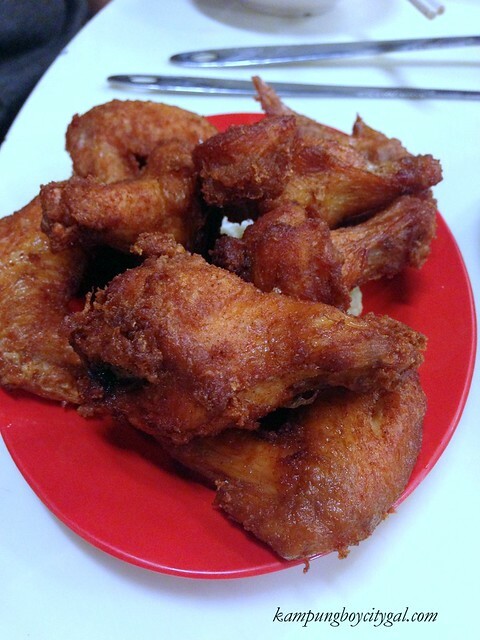 Curiosity got the better of us and so we ordered another three of these nam yu (fermented bean curd) fried chicken. It was nothing to shout about – too salty and over fried. Guess it makes great snacks to kill time while waiting for food? 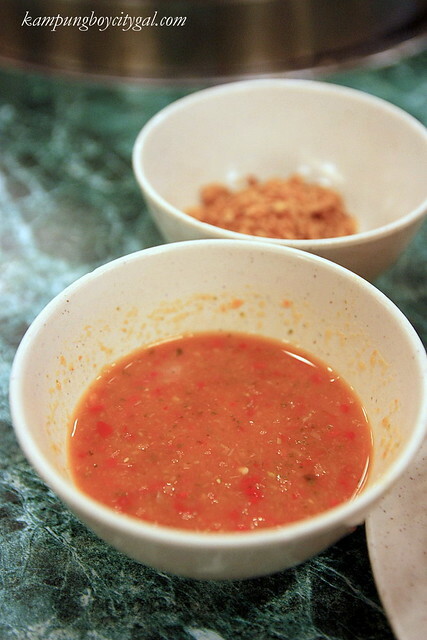 We love the chilli dipping sauce at Coco Steamboat. It was spicy and tangy, great to dunk in some steamboat ingredients to enjoy the “kick”. They also provide patrons with bowls of fried garlics. 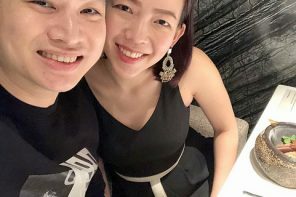 Steamboat Set for one pax – RM 15.90. We always share a set amongst the two of us, with another 3-4 ala-carte orders. 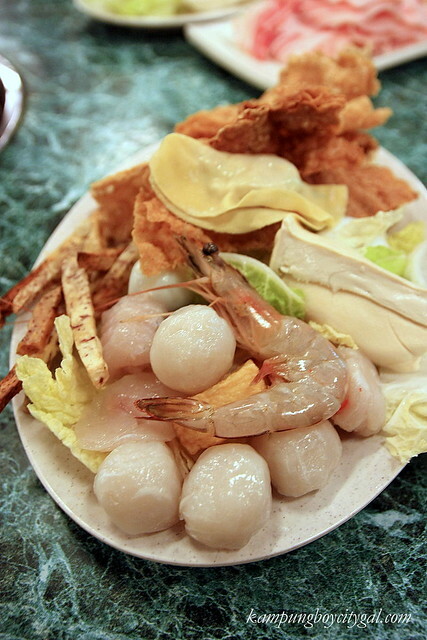 The steamboast ingredients were pretty standard as compared to the other steamboat places, but Coco Steamboat takes pride in providing their customers with the freshest ingredients. 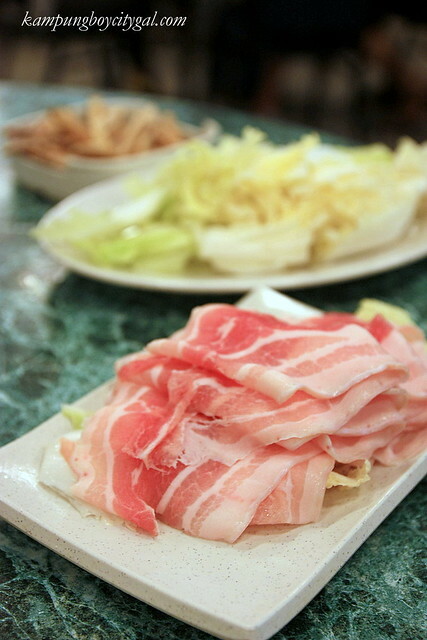 Sliced Pork (RM 11.90) is a must order here. It was busting with porky flavours after we cooked it the ‘shabu shabu’ way. 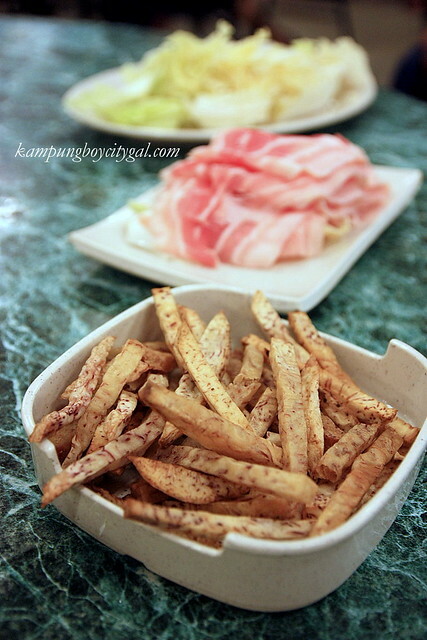 Deep Fried Yam (RM 6.90) is also a must order here. 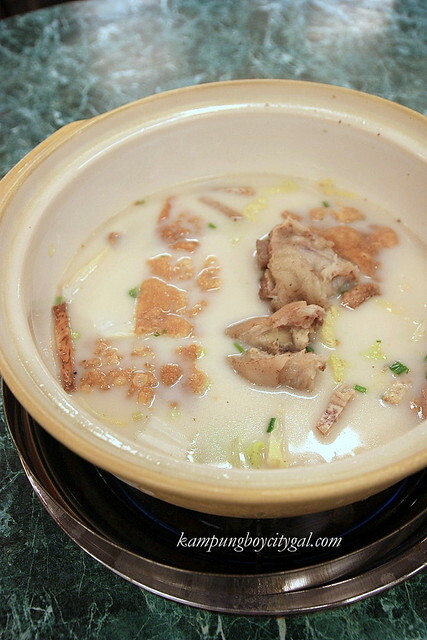 I like how it turned soft and absorbing all the great flavours from the soup. Taman United, 58200, Kuala Lumpur. love their pork soup based!